This most concise and helpful reference work was first published in 1928. It was reissued in 1945 by Sheed & Ward publishers and is presented by Loreto again in 2016 because we feel it will be very useful for students, seminarians, priests, and Catholic laity of all walks of life, since so many of these heresies are once again rearing their ugly heads in these most troubling times. Therefore, we must be not only quick to recognize their manifestation in the era in which we live, but we should also be capable of the refutation of these death-dealing errors for those who would look to faithful Catholics for guidance. Saint Paul in 1Cor. 11:19 says “For there must be also heresies: that they also, who are approved, may be made manifest among you.” Now at first impression that might seem an odd thing for Saint Paul to say— that there must be heresies? Yet the verse gives its own explanation. It is so that truth (those approved teachers and believers) may be made clear among you. It is often the case that truth or light stands out more clearly when contrasted against untruth or darkness and that is one very fine reason why those seeking the truth in more depth of understanding may wish to study heresies. It is so that truth may be made more manifest! That is exactly what the author does in this book. Not only does he explain and state clearly the errors but he does three other things that are most helpful to the reader: 1) he describes how and why the heresy arose, and 2) he shows the true teachings in opposition, and 3) he draws out the logical conclusions and implications for thought and behavior that flow from the acceptance of the error. This is a great teaching tool for high schools, colleges and seminaries, or adult study groups. 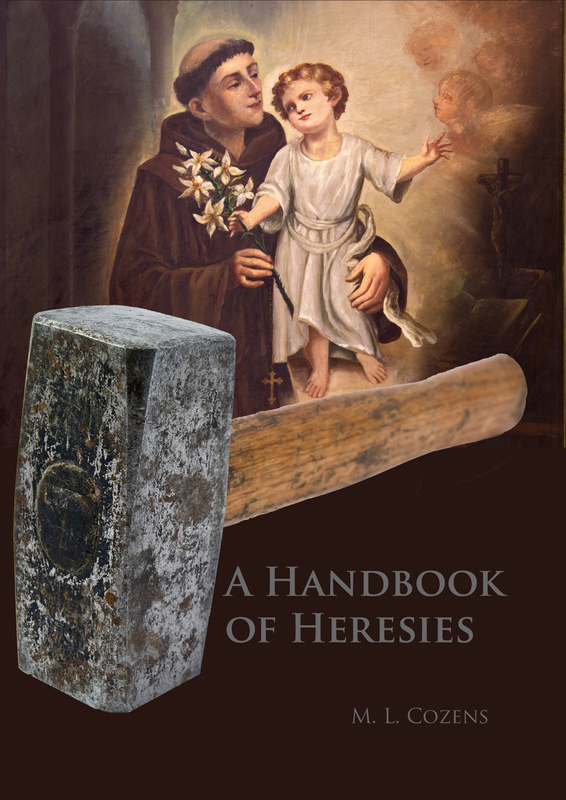 Saint Anthony - Hammer of Heretics - Pray for us! The editors felt that several other heretical ideas that have been thoroughly refuted and combatted by the Church in years gone by should be given a brief but thorough explanation, and so we have undertaken the responsibility to have Charles Coulombe, to whom we owe many thanks, to prepare brief articles on three other heresies, and we have added them to the book in its newest publication. The articles are on Indifferentism, Liberalism, and Americanism.